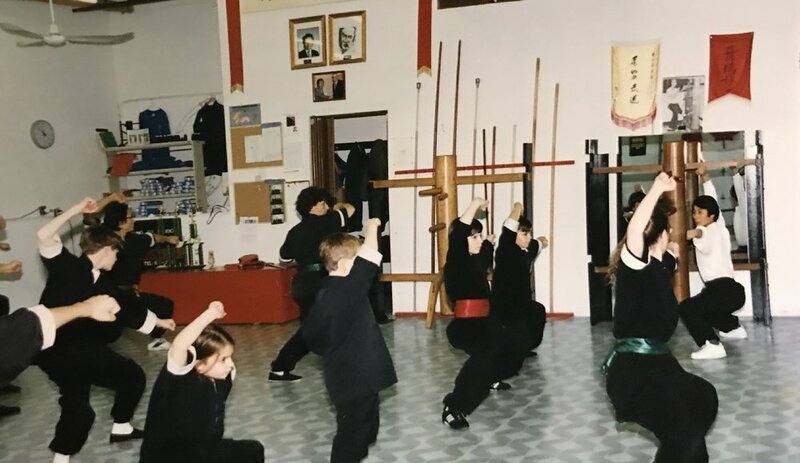 2018 marks the 20th anniversary of Wayland Li Martial Arts Centre in Canada! 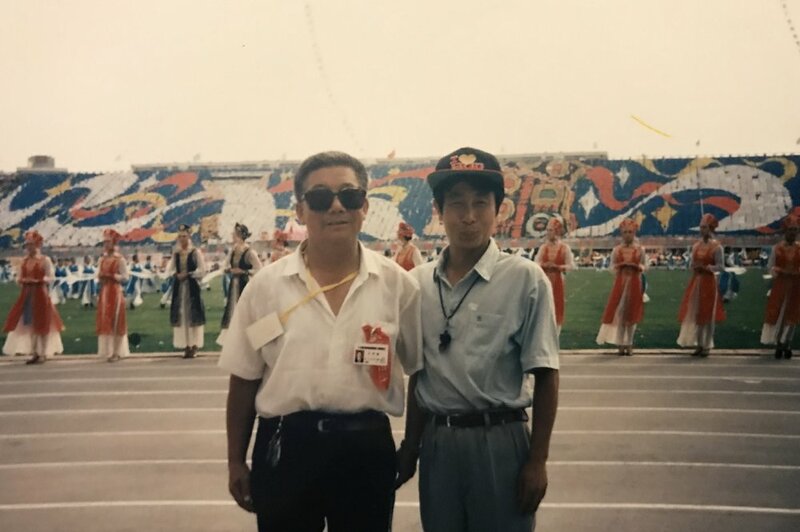 Master Wayland Li (李文启老师) founded the school in August 1998. 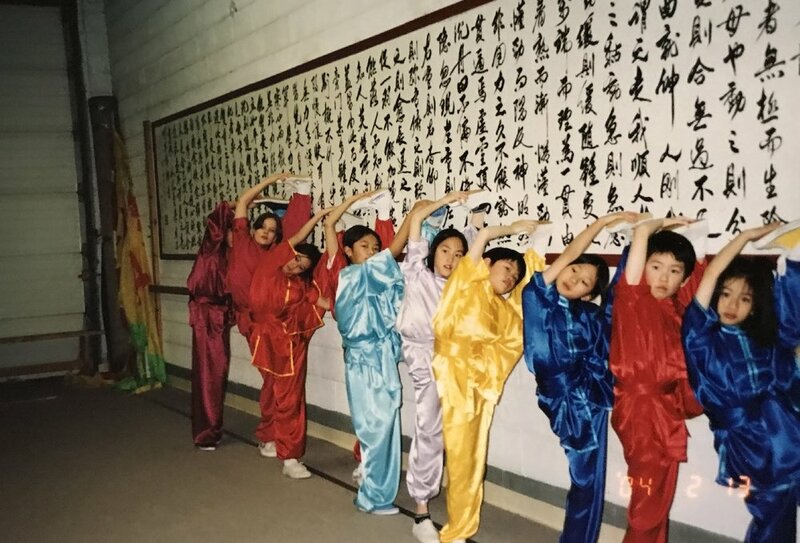 Since then, countless Wushu competitive champions and recreational students have benefited from training in a positive yet challenging learning environment. 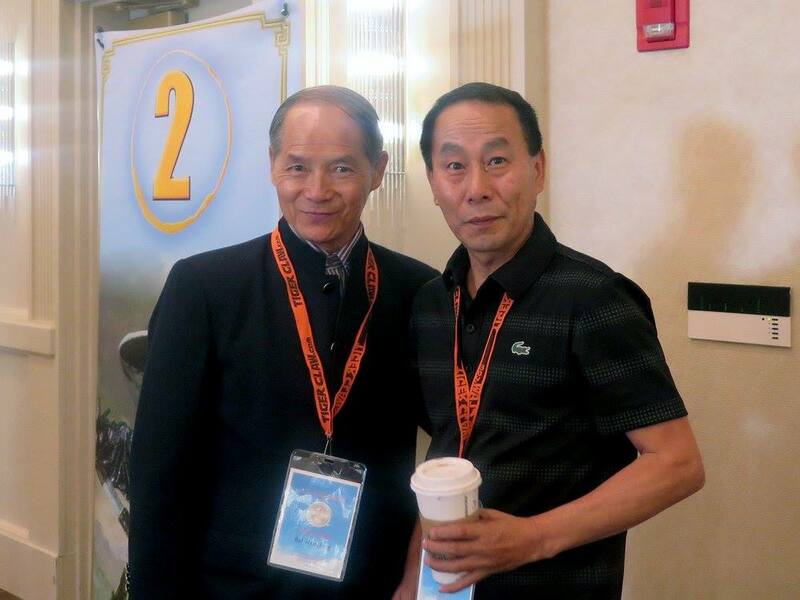 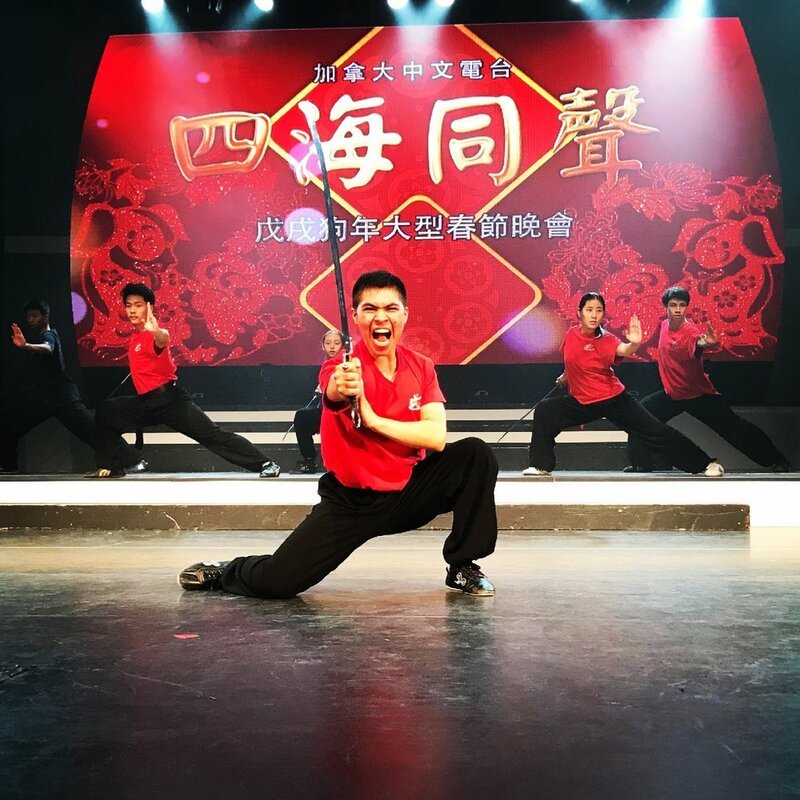 Master Li has dedicated his life to instructing students and helping them discover their full potential through Wushu. 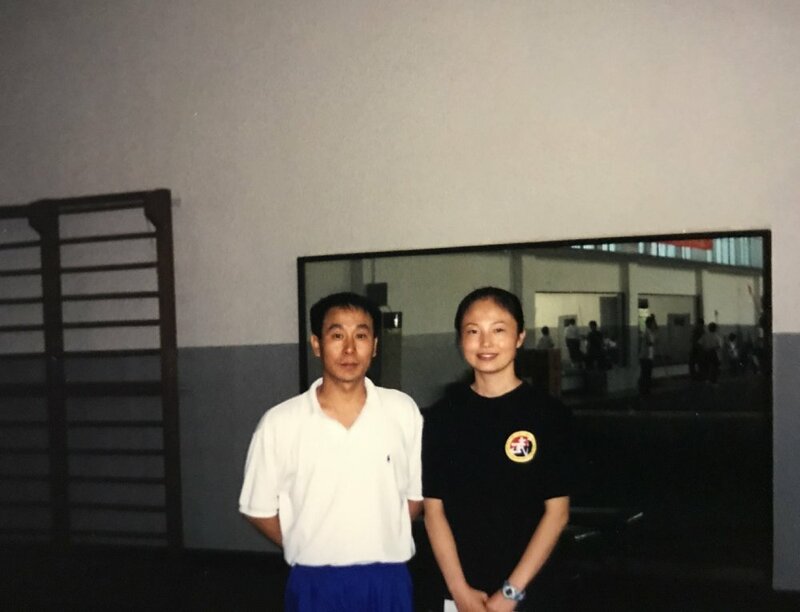 Master Li was a professional wushu athlete representing China's Baotou team based out of the province of Inner Mongolia, P.R.C. 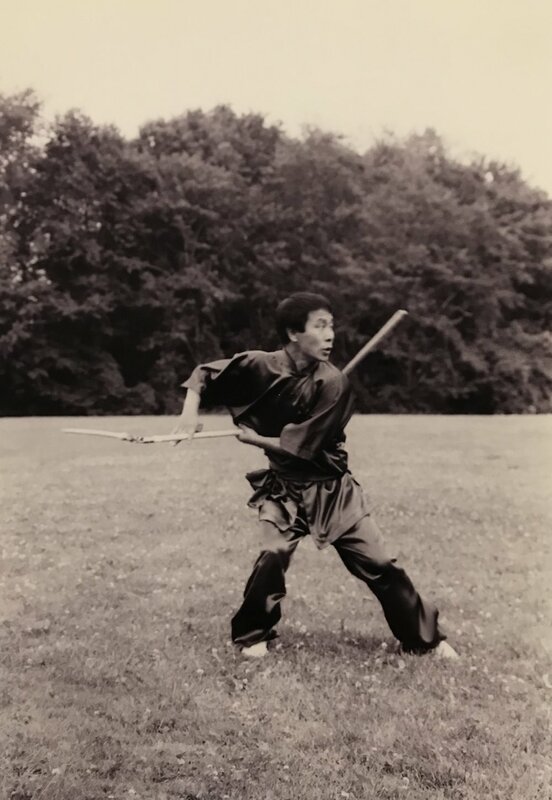 during the 1970s and 1980s. 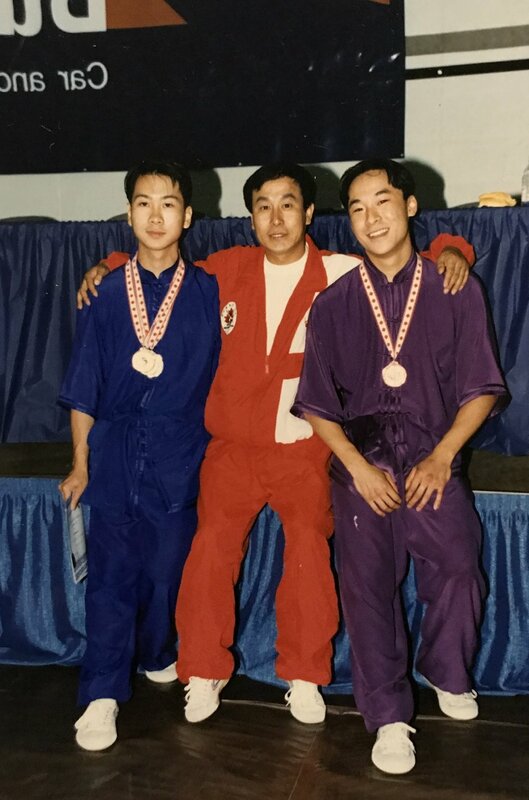 In these early years, Master Li won several gold medals at many of China's national Wushu championships, and traveled to Beijing to further his training as an athlete. 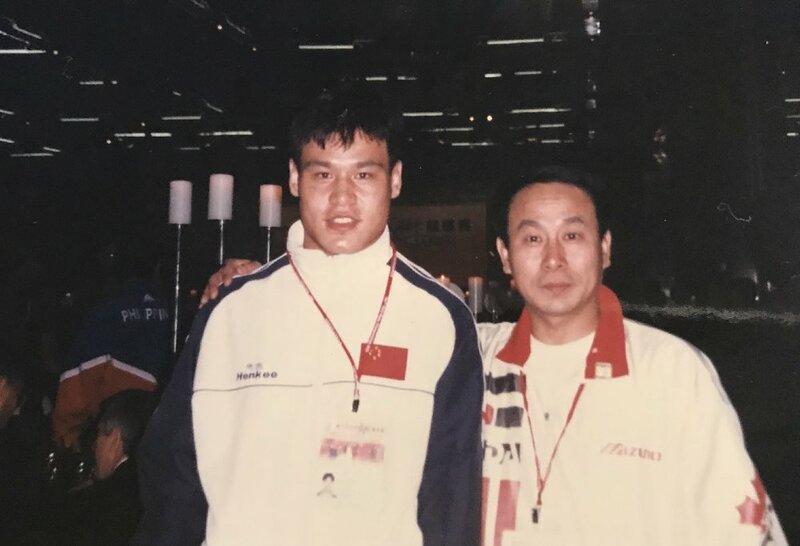 Following his retirement from the professional circuit, Master Li’s success as an athlete allowed him to transition into coaching roles in China and then eventually in the Republic of Mongolia and other Asian countries. 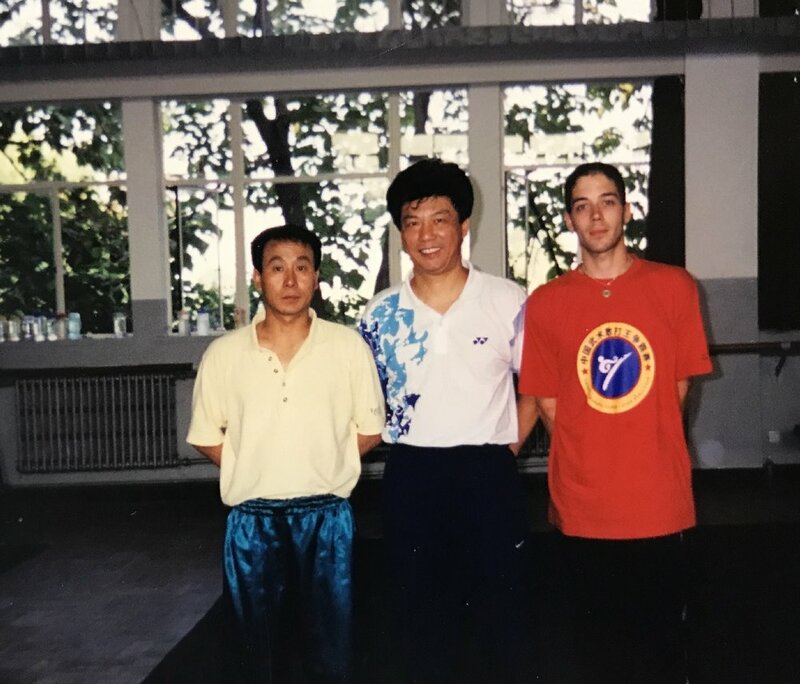 Wayland Li (李文启) standing left with his teammate Zhang Jianguo (张建国) standing right, and Coach Yang (sitting). 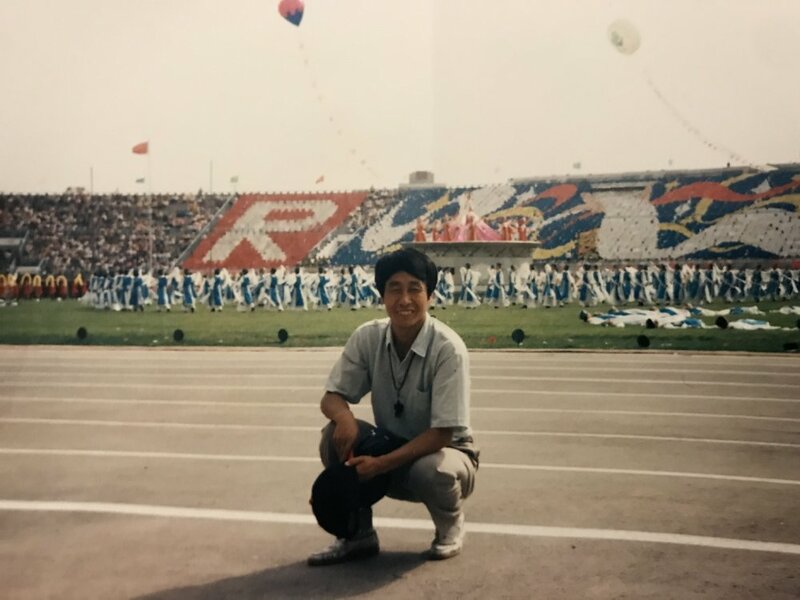 Location: Luoyang, Henan province, China. 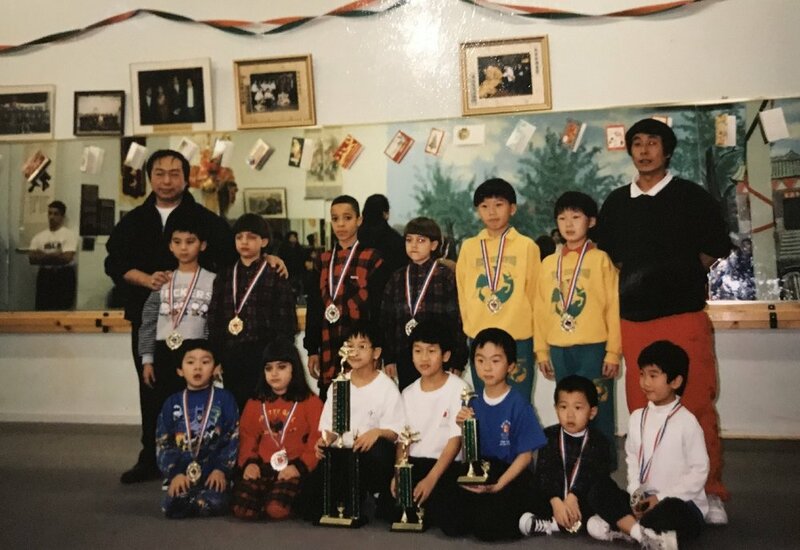 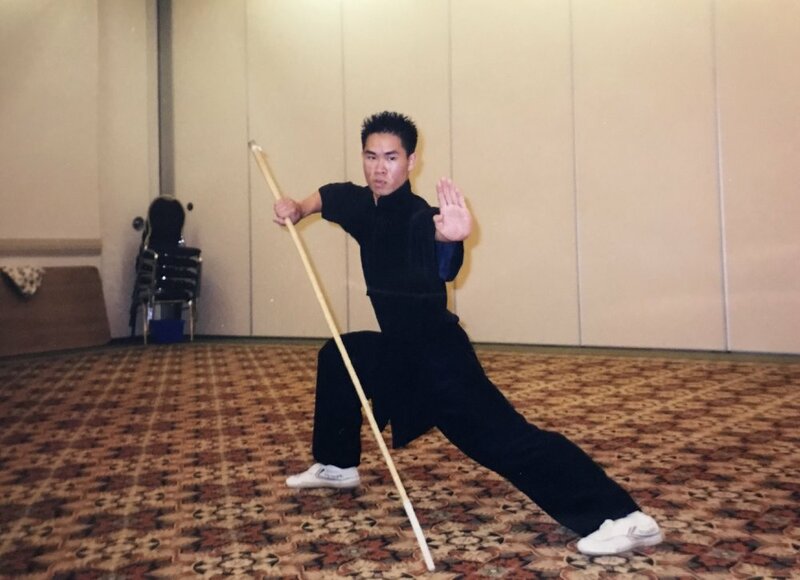 Master Li moved to Canada in 1994 and spent these early years teaching Wushu to students that were new to this form of martial art and competitive sport. 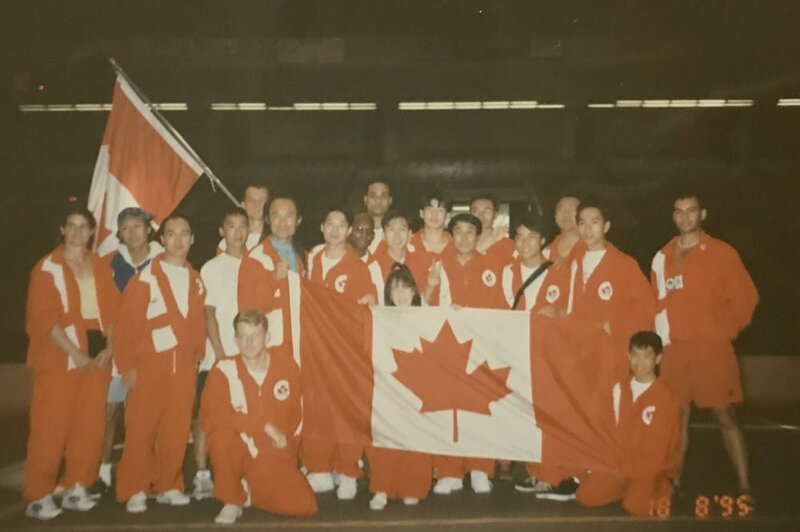 He produced many champions and served as one of the Canadian National Wushu team coaches. 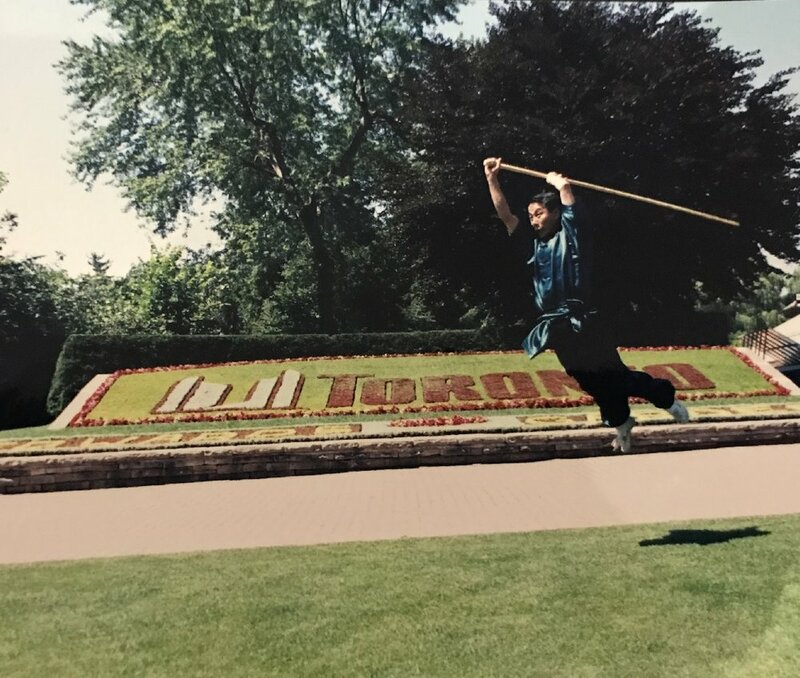 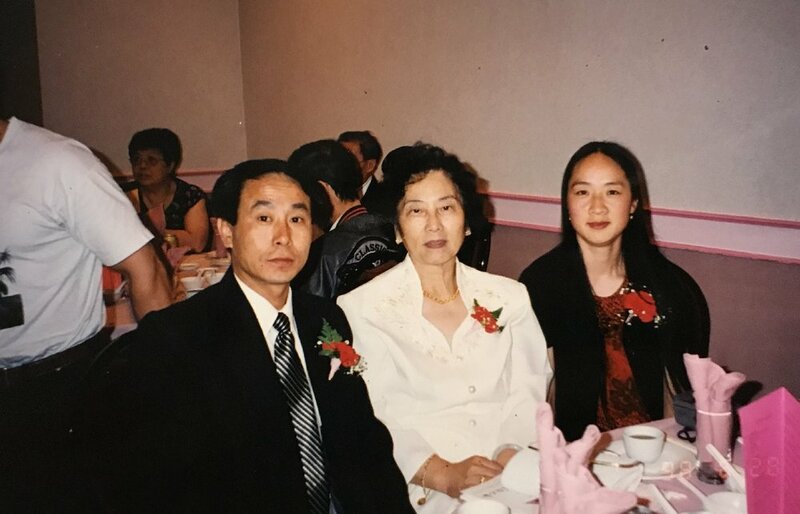 In October 1998, Master Li opened his own school in the Greater Toronto Area. 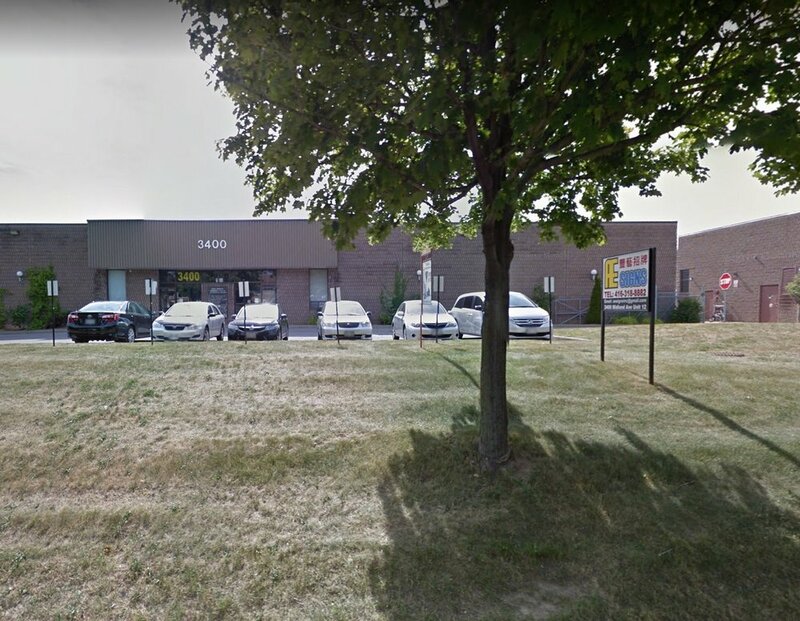 The school was located on Midland Avenue in Scarborough, a suburb of Toronto. 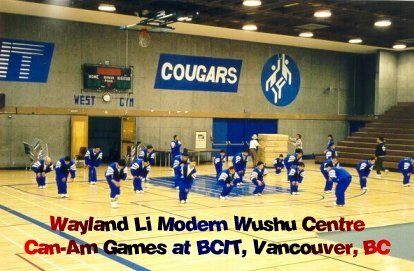 It was named the Wayland Li Wushu Centre or 李文启武术学院. 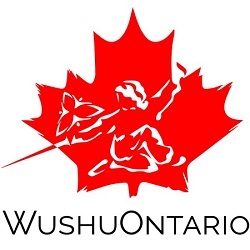 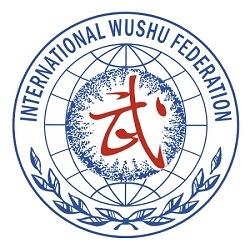 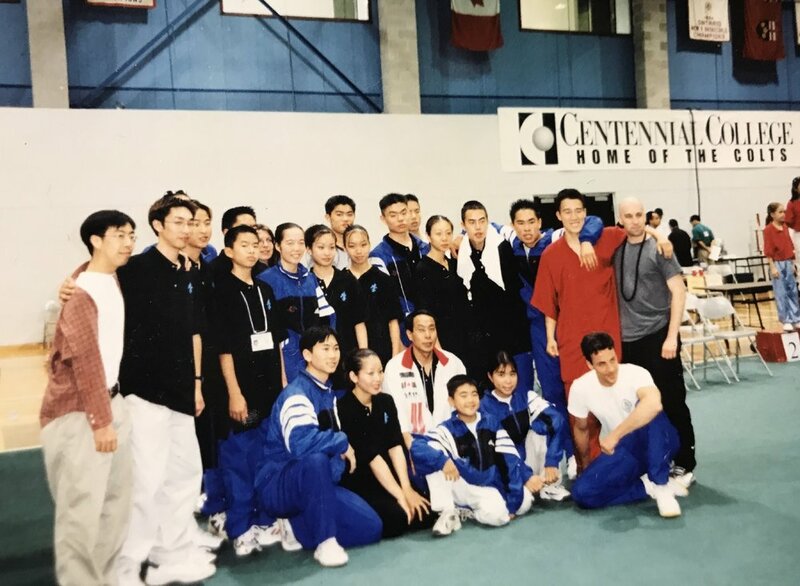 The early 2000s were years of training hundreds of young Canadians interested in the sport of Wushu. 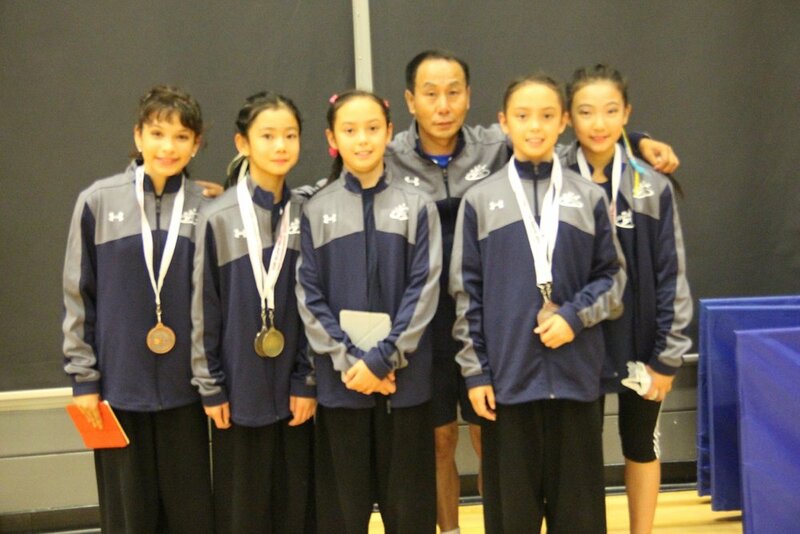 Master Li continued his role as one of Canada's national coaches and built up a team of elite athletes. 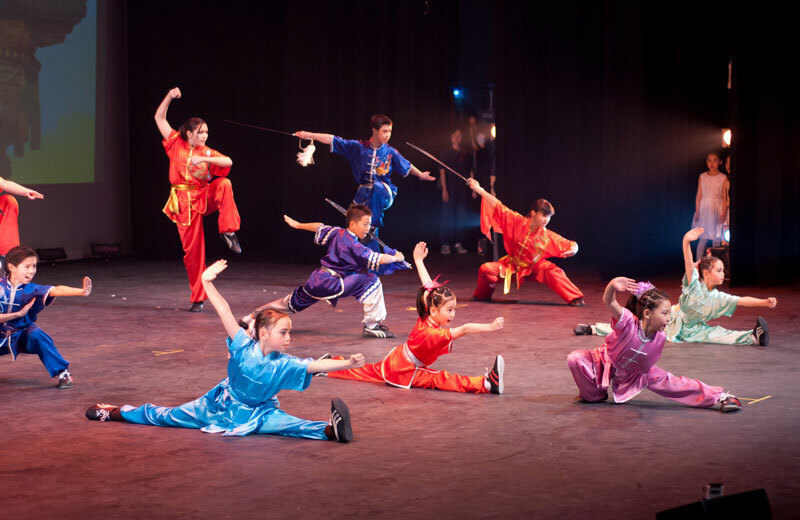 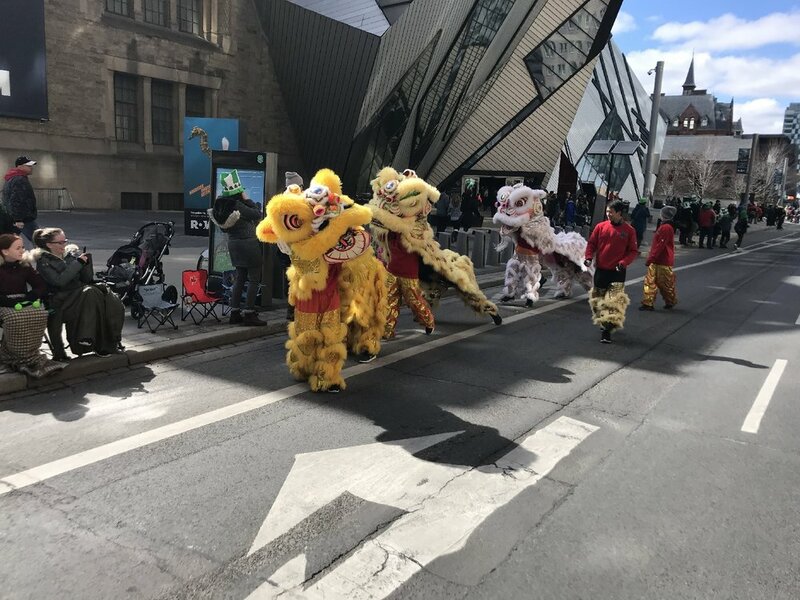 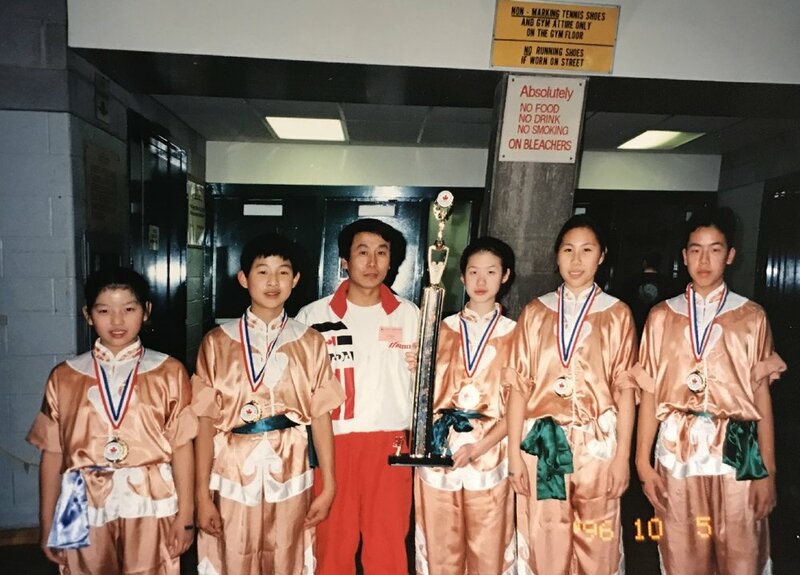 These dedicated students went on to compete in formative competitions such as the Canadian National Wushu-Kung Fu Championships, Vancouver's CanAm Games and the 5th Pan American Wushu Games held in the United States. 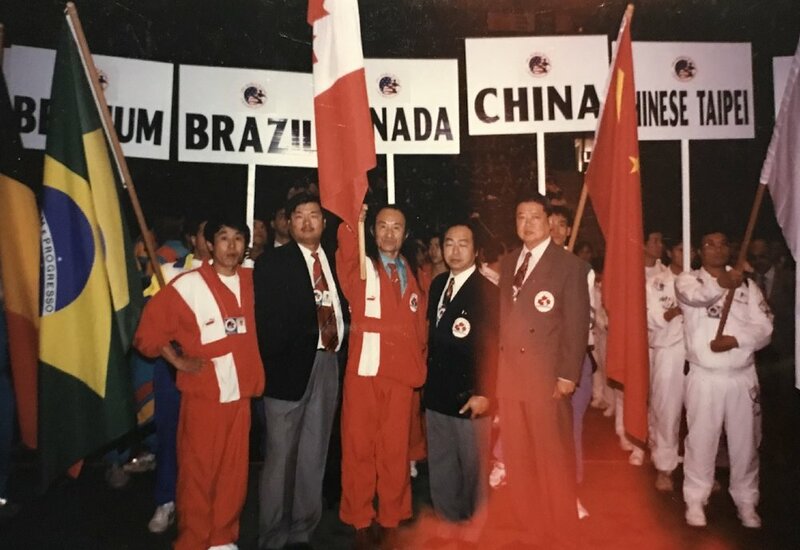 It was during this time that Master Li led a group of athletes to represent Canada at the 7th World Wushu Games in Macau, China, expanding Canada's role in a sport that was gaining popularity around the world. 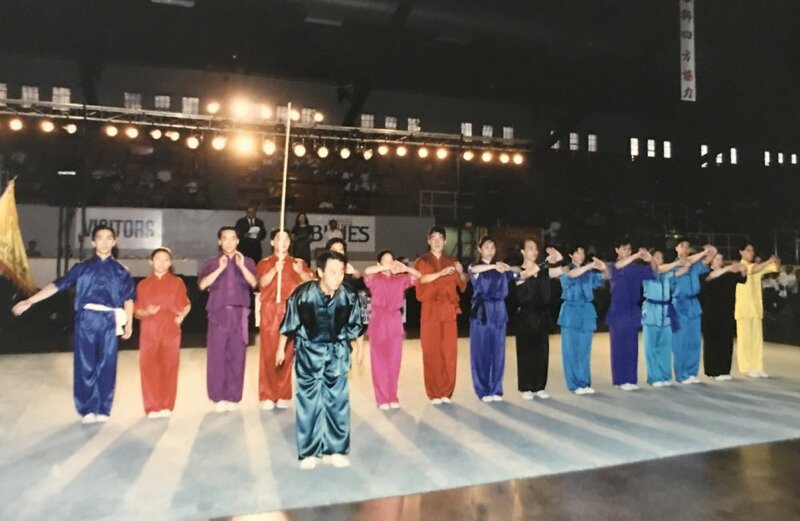 5th Pan Am Wushu Games, U.S.A.
Several of Master Li's early students went onto become Canadian athletes competing in global tournaments by the mid-2000s. 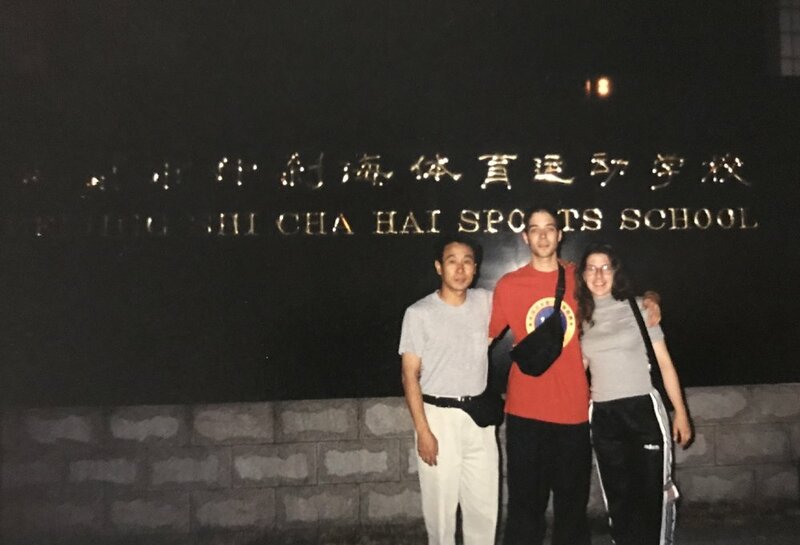 The competition team spent countless hours with Coach Li, training a near full-time schedule and travelling to China for extra practice with Chinese professional athletes. 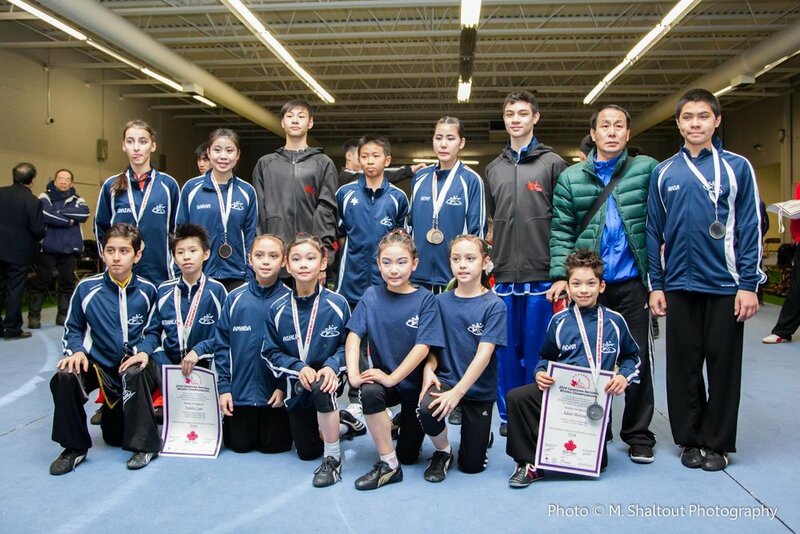 Many personal sacrifices and hard work paid off as Canada's athletes continued to showcase their skills on the world stage. 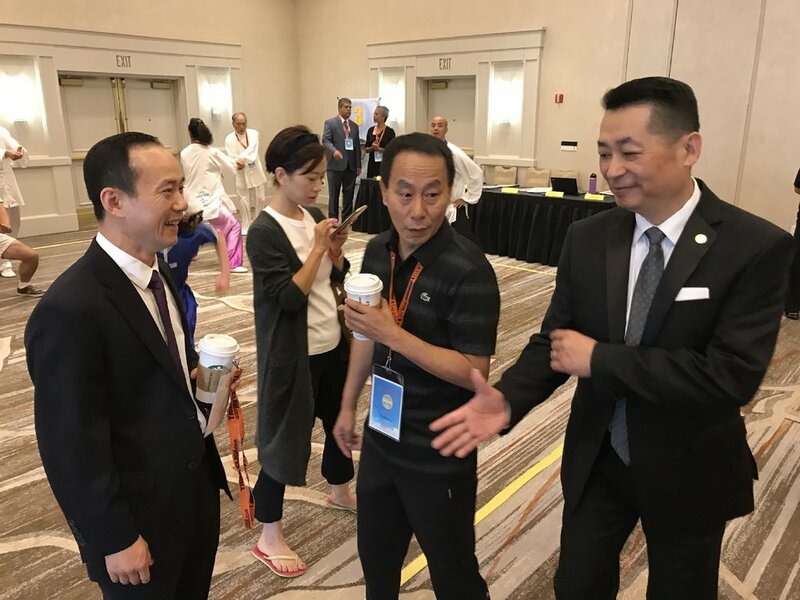 A local television station at the time captured the training intensity as Wayland Li athletes prepared for the 2007 World Wushu Championships and eventual 2008 Beijing Olympics. 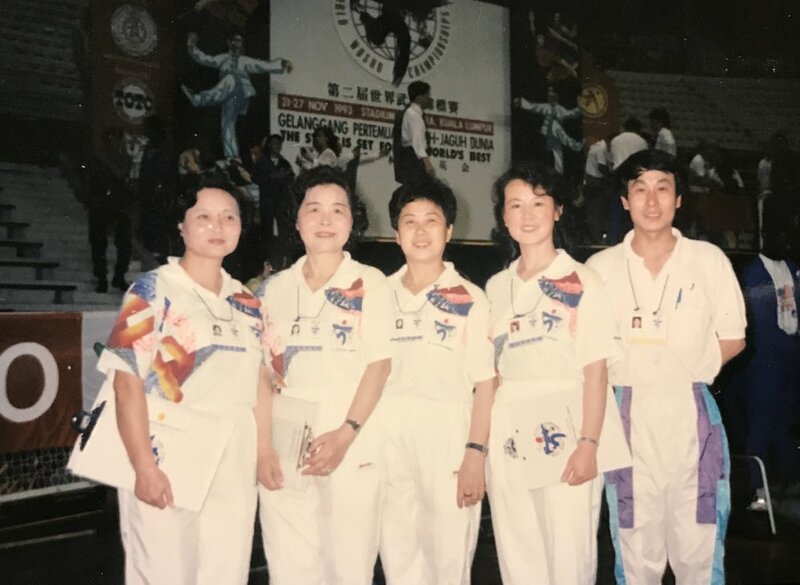 This team went onto compete in the 2007 World Wushu Championships in Beijing, China. 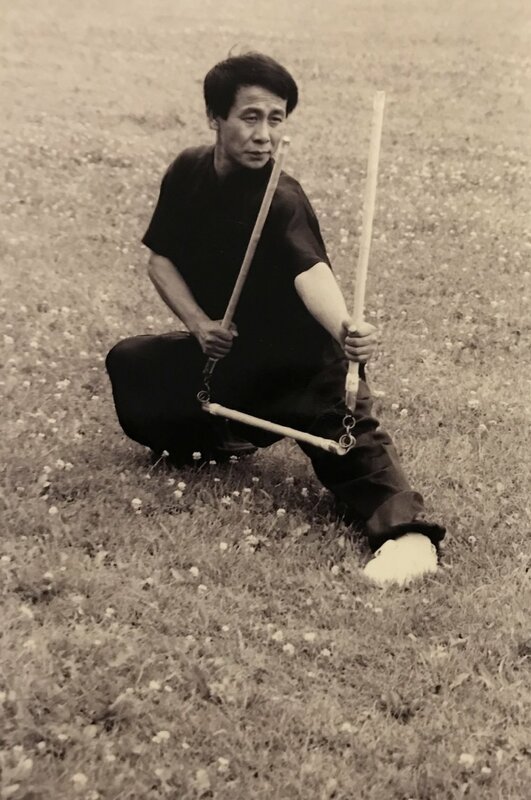 Two athletes from Wayland Li placed well against challenging competition - Merrill Ong finished 6th for the combined Spear and Straight Sword event, and Wei-Jen Lee finished 5th for broadsword. 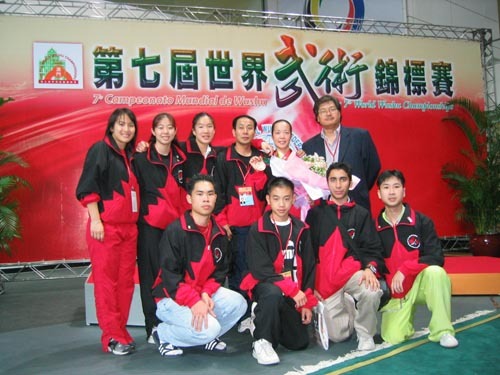 Having qualified for the Wushu event at the 2008 Olympics, Wei-Jen Lee went on to compete in the Olympic sponsored event. 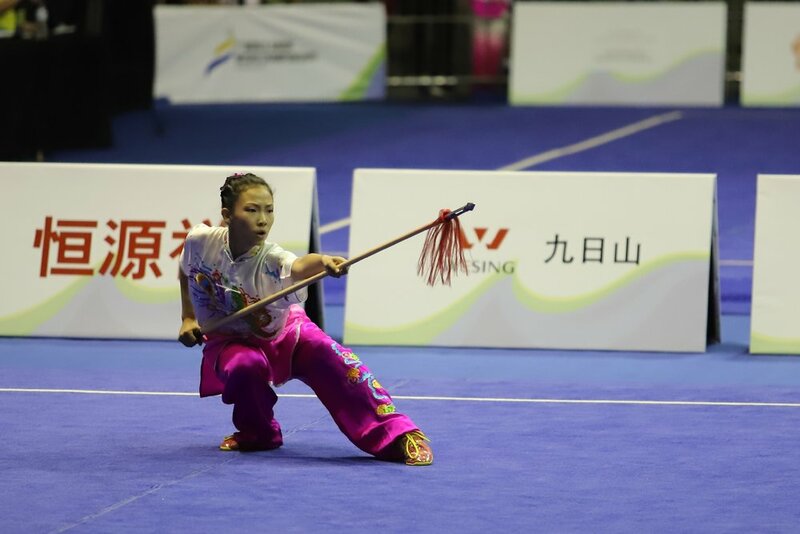 She finished with an impressive 4th place for the Women's combined broadsword and staff event, behind Hong Kong (gold), Italy (Jade Xu took silver) and Malaysia (bronze). 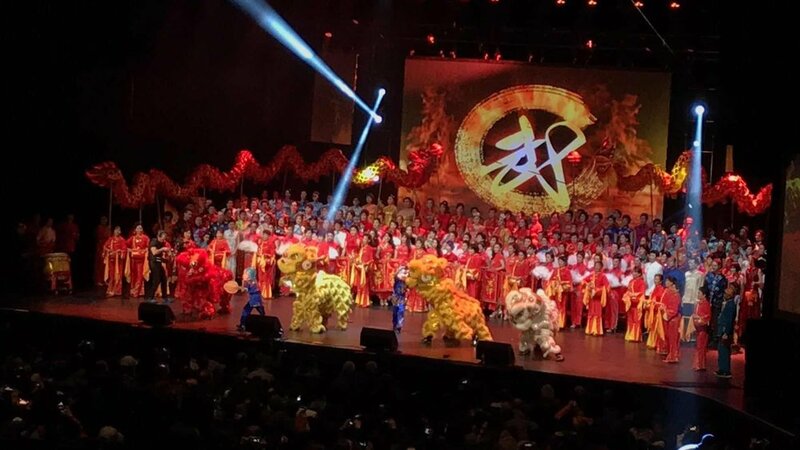 An impressive performance! 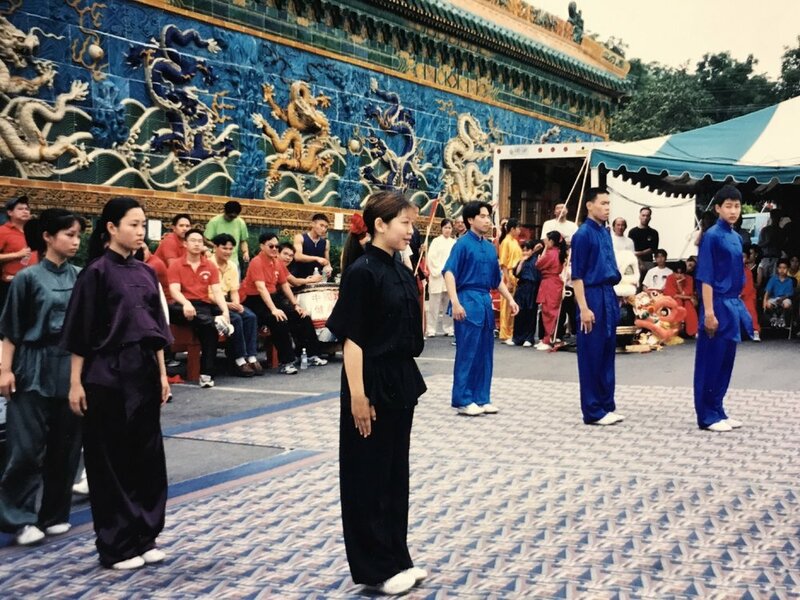 Performing on CCTV in Beijing, China. 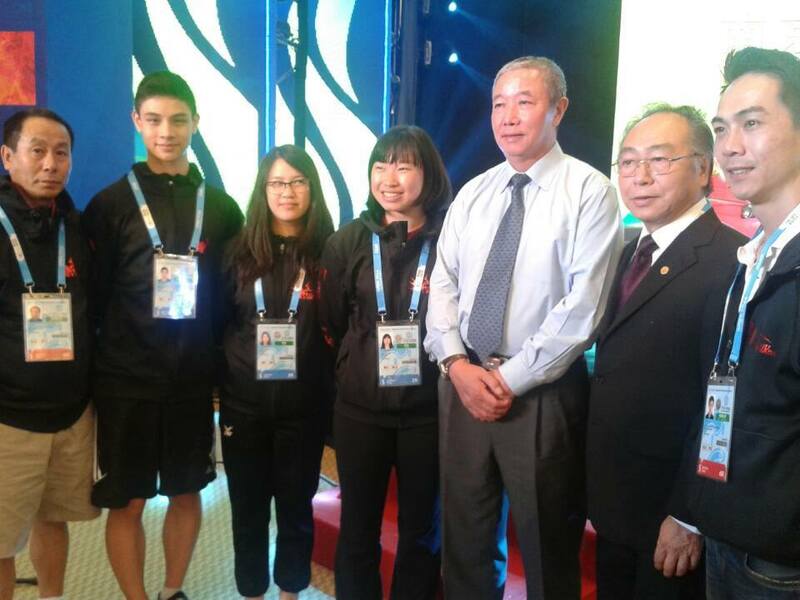 With the Chinese National Wushu team. 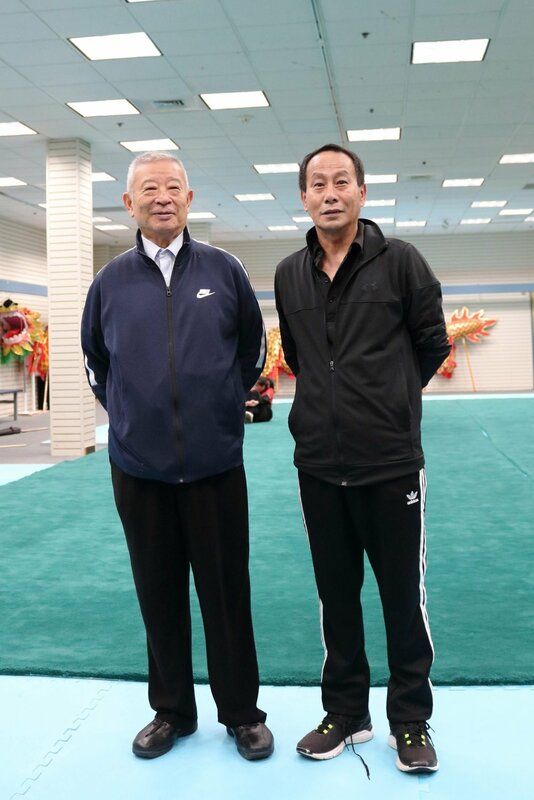 Wu Bin (吴彬) and Wayland Li (李文启).